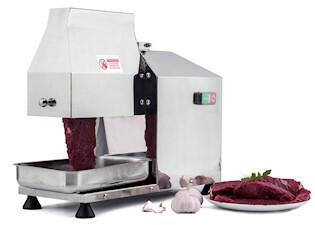 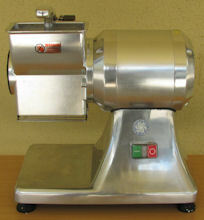 Commercial meat mincer No8 - 80kg/hr output. 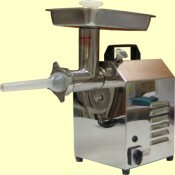 Supplied with four cutting plates, two cross knives and sausage filler. 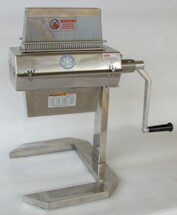 Two speed ROVTEX vertical sausage filler. 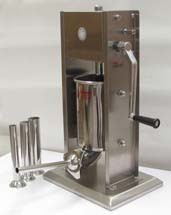 Two level gear allows fast piston release for quick and easy cylinder re-fill. 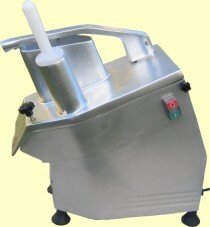 All stainless steel body and mechanism. 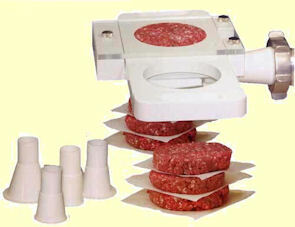 OUT OF STOCK Price is GST excl. 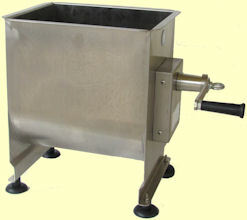 Ideal for pizza shops, restaurants, commercial kitchens and catering companies.